​Perched high on a one acre home site in the magnificent mountain setting of Ridgewood Estates Anmore, BC find Marcraft Homes latest creation “The Terraces”. This remarkable true West Coast Contemporary home features modern elegance with combination of Fir Post & Beam timber design and sleek Contemporary Finishing. Designed with entertainment in mind you will love the spacious open concept for plan featuring floor to ceiling Euro Tilt & Turn windows allowing the Spectacular Panoramic Mountain View to shine in, the Hickory Planked Oil Finished Hardwood Flooring, Designer Lighting, Custom Design Mouldings, Wood and Glass Railings. 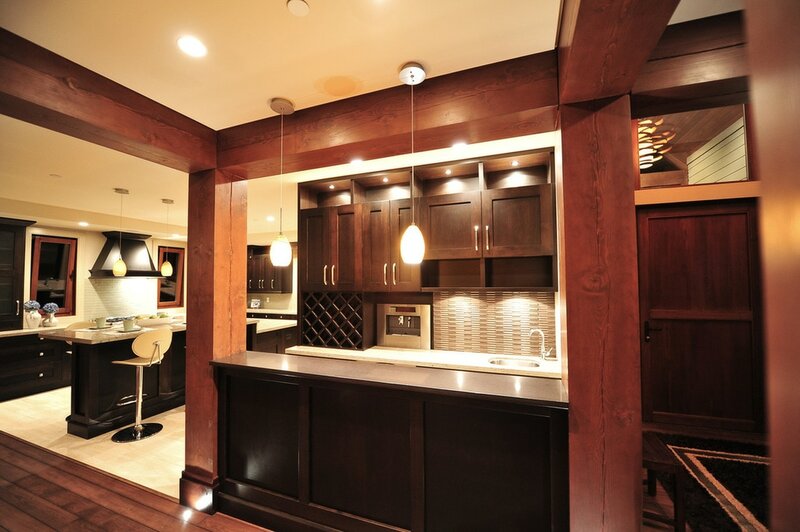 The Gourmet kitchen is a chef’s delight offering top of the line Subzero & Wolfe appliances. Floor Area: 5,743 sq. ft.